Israel has a reputation for being home to some of the most capable offensive hacking firms on the planet. These shadowy companies sell wares to governments all over the world, and the market grows more and more competitive every year. Case in point: The launch of a new Israeli firm called WiSpear, which is sparking a new rivalry in the lucrative business of Wi-Fi interception. This tech is used by police, intelligence and military agencies, which pay hackers to break into the networks of chosen targets. The company was first spotted by Intelligence Online. 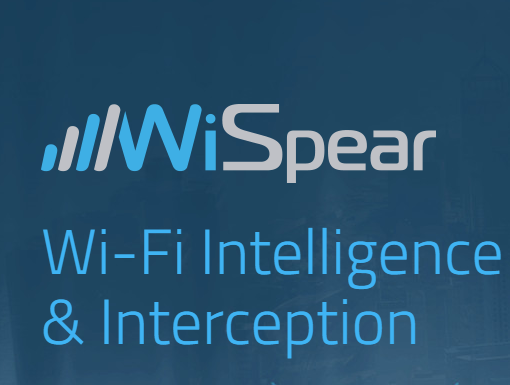 WiSpear, launched in 2016 by a former commander in the Special Operations Unit of the Intelligence Corps in the Israeli Defense Force, sells the “SpearHead Wi-Fi Man-in-the-middle platform, ” promising to intercept a targeted Wi-Fi signal — and then steal data like social media passwords and other communications — at “the longest interception ranges” and with a design that can “integrate with any infection system.” The kilometers-long range is meant to be the system’s defining feature. It’s a boastful set of claims but, with the pedigree WiSpear’s founders possess, it’s difficult to dismiss. The company was founded by Tal Dilian, a 25-year IDF veteran whose resume includes the 2009 launch of a company called Circles, a heavyweight in the real-time interception of data from 3G networks. Circles’ tech worked in various ways, including exploiting vulnerabilities in Signalling System No. 7, a half-century old protocol behind much of the world’s cell phone calls and text messages. Israeli media reports that Circles is now owned by NSO Group, another top-tier Israeli hacking firm with connections to governments around the globe. Dilian brought personnel to WiSpear from several of his previous ventures, including the company’s chief financial officer, Itay Rudy, who worked under Dilian at the 3D printing and production firm Stratasys. WiSpear employs about 50 people with pedigrees that show the company is made of Israel’s elite. The company’s engineers and architects come from the IDF’s top intelligence units, including Unit 8200, as well as firms like Verint, a billion-dollar giant in the “lawful interception” industry. WiSpear is advertising at several trade industry shows in the coming months including ISS World, a spy-tech exhibition sometimes known as the Wiretapper’s Ball, and Milipol, a French military-industry event. The company makes presentations touting the “best-in-class range performance with beamforming antenna technology.” The technology focuses a signal in a specific direction resulting in stronger signals and longer range. It’s easy to see how that sales pitch could tempt governments. WiSpear’s long-range offerings face, among other potential rivals, the Israeli-made tool that was said to “reinvent Wi-Fi interception.” The “MABIT Scope” from the Israeli company Magen 100 (Mabit is Hebrew for watching, Magen is Hebrew for Shield). Magen, founded in 2011 by another cadre of Israeli intelligence veterans, fit a powerful Wi-Fi interception platform into a tiny backpack so the company’s customers could be mobile as they scanned for smartphones, intercepted data and gained access to cloud-based accounts. The appeal is that officers and agents can enter any area to collect key information on who is nearby — without any of the targets noticing at all.